At its 4G/5G Summit in Hong Kong Tuesday, Qualcomm announced a successful 5G connection using its Snapdragon X50 modem alongside the first reference design smartphone. The firm also introduced the Snapdragon 636. There's been a lot of talk but 5G is finally real with Qualcomm managing the first successful trial of a 5G connection. The firm has delivered higher than gigabit speeds using the X50 modem, announced last year, over a 28Ghz mmWave frequency. The firm expects devices with the Snapdragon X50 modem to be available in the first half of 2019. So we'll see smartphones and other devices with it presumably on shelves during 2019 and you get start getting your fill of 5G. That's earlier than Ofcom's prediction of 2020. This means we're one step closer to getting 5G and the test will "drive a new generation of cellular technology forward". The firm said the move to 5G will be like getting electricity and with pave the way for unlimited data. Not only will 5G be faster, but it will also be more reliable so you can do demanding tasks with your phone or other device without problems even in crowded places. Upgraded networks with more bandwidth could usher in a new era of 'unlimited data'. 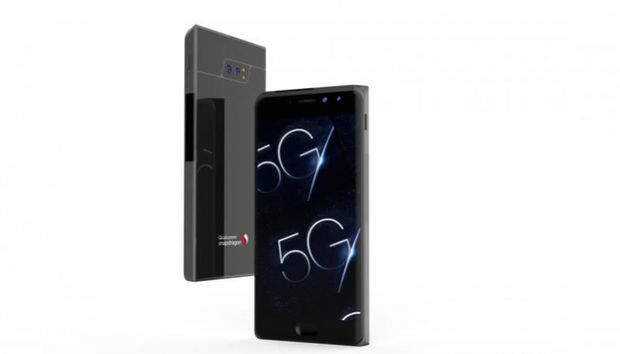 Qualcomm also announced its first reference design smartphone that uses mmWave 5G, showcasing how the new technology will be made possible in the form factor. The modem might be small but fitting an antenna array for 5G isn't so easy. "This major milestone and our 5G smartphone reference design showcase how Qualcomm Technologies is driving 5G NR in mobile devices to enhance mobile broadband experiences for consumers around the world," said Christiano Amon, president of Qualcomm Technologies. Qualcomm's test took place in San Diego using multiple 100Mz 5G carriers.